Welcome to the web site, www.drawbridge.com, www.drawbrid.ge, (the "Site") of Drawbridge, Inc. ("Drawbridge", "we", "us" and/or "our"). This Site is operated by Drawbridge and has been created to provide information about Drawbridge and its data analytics and advertising services, which include cross-device matching (the "Drawbridge Services" or “Services”). Before using the Drawbridge Services, you and/or your partners (including service providers) should ensure that you are providing Users with notice of the use of online behavioral advertising and cross-device matching as well as an opt-out mechanism. Drawbridge is a member in good standing of the Network Advertising Initiative (NAI) and adheres to the NAI Code of Conduct. Click here to learn more about the NAI. We adhere to the DAA Principles for Online Behavioral Advertising as they apply to our activities. Click here to learn more about the DAA. In Canada, we adhere to the Digital Advertising Alliance of Canada’s (DAAC) Self-Regulatory Principles for Online Behavioural Advertising. Click here to learn more about the DAAC. Non-Identifiable Data: When you interact with Drawbridge through the Site, we receive and store certain non-personally identifiable information. Such information, which is collected passively using the technologies set out below, cannot presently be used to specifically identify you. Drawbridge may store such information itself or such information may be included in databases owned and maintained by Drawbridge affiliates, agents or service providers. We may use such information and pool it with other information to analyze, for example, the total number of visitors to our Site, the number of visitors to each page of our Site and how such users interact with the Site. We and our partners use technologies such as cookies, beacons, tags, and scripts to analyze trends, administer the Site, provide additional functionality to the Site, and to gather demographic information about our Customers. We may receive reports based on the use of these technologies by third party companies on an individual and aggregated basis. We may use our own technology or may partner with a third party to either display advertising on our website or to manage our advertising on other sites. Drawbridge and our third-party partners may use technologies such as cookies to gather information about your activities on this Site and other sites to provide you advertising based upon your browsing activities and interests. Aggregated Data: In an ongoing effort to better understand and serve the users of the Drawbridge Services, Drawbridge may compile and analyze on an aggregate basis, information about its Customers, and Drawbridge may share this aggregate data with its affiliates, agents and business partners. This information includes internet protocol (IP) addresses, browser type, internet service provider (ISP), referring/exit pages, operating system, date/time stamp, and clickstream data but does not identify you personally. Drawbridge may also disclose aggregated Customer statistics to describe our services to current and prospective business partners and to other third parties for other lawful purposes. The Drawbridge Services allow us to collect and store information about User interactions with third-party websites and applications that use our technologies, which include browser cookies, pixels, and server to server connections. A "cookie" is a piece of information that the computer that hosts a site or advertisement gives to a User’s browser when a User accesses a site or advertisement. A pixel is a piece of code which is used by a website or third party to assign online activities to a computer or browser. Cookies and pixels are used to collect and store information about web browsers across web sites over time. Drawbridge receives information from its Customers. The information we receive from server-side platforms may include data such as, the page a User has requested, the date and time the User has visited the page, the device internet protocol (IP) address, mobile device identifier (such as Apple IDFA or Google Advertising ID), geolocation (including GPS coordinates), browser type, carrier, referring/exit pages, device model, operating system, gender, age, clickstream data and cookie information. This User data is collected through ad requests received from various advertising exchanges, platform and ad networks. Customers may provide us with IP addresses and first party identifiers such as hashed email addresses and mobile device identifiers. We also receive information about Users from advertisers and/or their service providers such as mobile device identifiers, IP addresses, website cookie information and post-conversion data (from both online and offline behavior). We may combine the information we collect about Users with demographic, geolocation, and interest-based segment data, along with event-based data, cookie information and hashed email addresses from third-party providers. Drawbridge does not use any data segments it considers sensitive such as those based on race, religion, sexual orientation or sensitive health categories to tailor ads on behalf of our Customers. We use the data we receive through our technologies, in conjunction with other third-party data, to provide services to our Customers such as tools to see how their website or mobile applications are used and tools to enable the display of targeted advertisements to Users, including across a User’s devices. For example, we may use the information we receive to determine the probability that a desktop web cookie and a mobile device belong to the same User. We may share device matching information such as device IDs, Drawbridge-created cross-device identifiers (that link IP addresses and device IDS) and Drawbridge-created household identifiers (that infer a link among devices based on data such as IP address) with our Customers to enable them to engage in fraud prevention and to provide advertising, analytics or other services. We may use hashed email addresses to help Customers understand which of their existing Users match specific identifiers. We may share other information with Customers such as device IDs and advertisement conversion data in the ordinary course of our business. For example, we provide reporting metrics to our Customers related to User interactions with websites and applications. Our Customers’ collection and use of the information that we provide to them is governed by their own privacy policies. Business Transfers: As we develop our business, we might sell or buy businesses or assets. In the event of a corporate sale, merger, reorganization, dissolution or similar event, personal information may be part of the transferred assets. Personal Information may be shared in connection with or during negotiation of any such transaction or event. Agents, Consultants and Other Third Parties: We sometimes hire other companies to provide services for us and to help with our operations, which may require that they access and use personal information. Examples of such services include mailing information, maintaining databases and processing payments. Legal Requirements: Drawbridge may disclose personal information to (i) comply with laws or respond to lawful requests and legal process, (ii) protect and defend the rights or property of Drawbridge, our agents, Customers and others, including to enforce our agreements and policies, (iii) act in urgent circumstances to protect the personal safety of Drawbridge, its Customers, or any person, or (iv) to protect against legal liability. We may share aggregated, anonymized, statistical or otherwise not personally identifiable information with third parties. For example, we may share information publicly to show trends about the general use of our services. Receiving emails from Drawbridge is part of our service. By registering for our services, we will use your name and email address to send periodic newsletters to you. You may choose to stop receiving our newsletter or marketing emails by following the unsubscribe instructions included in these emails or you can contact us at [email protected]. If you wish to not have your information used to serve you interest-based ads, you may opt-out by clicking here. Please note that this does not opt you out of being served ads. You will continue to receive generic ads. A User can opt out of Drawbridge's Services, including cross-device matching, directly at: https://drawbridge.com/optoutstart. When the User opts-out, we will no longer use the information from the User on the browsers and/or devices of which we are aware and are associated with such User. Please keep in mind that, to the extent we have already disclosed information about the User to third parties before the User opts out, we cannot require such third parties to delete that information. If the User uses a different Internet browser, a different mobile device or computer, or deletes the opt-out cookie that we set, the User will need to make the User’s opt-out selection again. 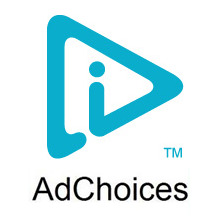 To learn more about interest-based advertising, and to access the opt-outs of other online advertising companies, visit the Network Advertising Initiative at http://www.networkadvertising.org/choices/#completed or Digital Advertising Alliance (DAA) at http://www.aboutads.info/choices/. If you reside in Canada, you can opt out from the Digital Advertising Alliance of Canada’s opt-out page here. A User can opt-out of the collection of the User’s data by BlueKai at http://www.bluekai.com/consumers.php#optout. Mobile device operating system software such as Apple iOS or Android provide an opt-out choice e.g., Limit Ad Tracking on iOS that is communicated to companies such as Drawbridge. To opt-out, the User should consult the User’s device settings. A User can review http://www.networkadvertising.org/mobile-choices for more information regarding how a consumer may opt out via the mobile platform. If a User opts-out the User’s mobile device via mobile device operating system software, we will not share the identity of the mobile device with our Customers for the purpose of enabling online behavioral advertising. However, we have some Customers who use the Drawbridge Services for activities such as fraud prevention and security, which are not subject to this mobile device operating system software opt-out choice. 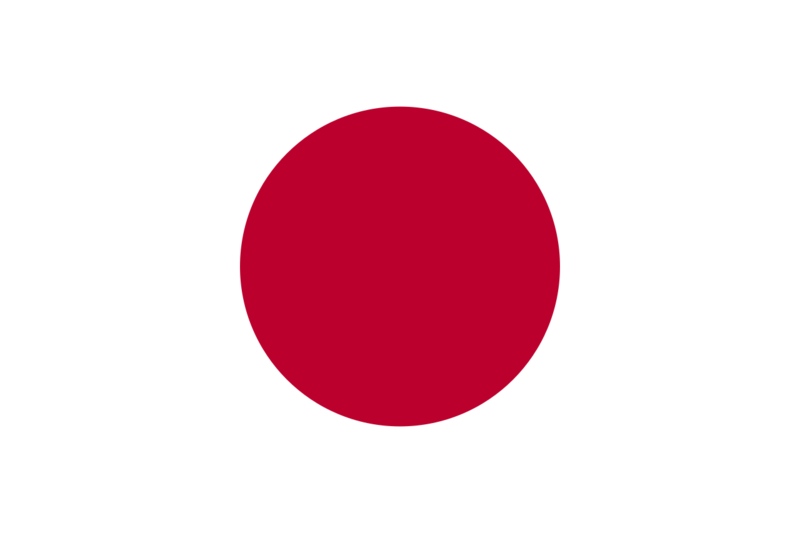 If a User would like to disable the collection of the User’s mobile device geolocation information, the User can make this selection on the User’s device. If a User opts-out of targeted advertising, the User will still receive ads though they will not be tailored to the User’s interests. If a User has questions about how our Customers collect and use information, the User should contact the Customer directly. If a User has any problems with the opt out links above, or if a User has any questions about opting out of Drawbridge’s Services, please email [email protected]. If your personal information changes, or if you no longer desire our service, you may correct, update, amend, delete/remove or request by making the change in our member settings portal, by emailing us at [email protected] or by contacting us by telephone or postal mail at the contact information listed below. We will respond to your access request within a reasonable timeframe. We will retain the information we receive for as long as your account is active or as needed to provide the Drawbridge Services. We will retain and use the information as necessary to comply with our legal obligations, resolve disputes, and enforce our agreements. A User may have the right under applicable law to access, amend, and/or request deletion of certain information. To inquire about such rights, please send an email to [email protected] and we will respond to the User’s request within a reasonable timeframe. We retain the event data collected via our technology for up to 180 days. After that time, we aggregate the data and retain it for analytical purposes. Our Site includes links to other Web sites whose privacy practices may differ from those of Drawbridge. If you submit personal information to any of those sites, your information is governed by their privacy policies. Drawbridge does not knowingly collect personal information from children under the age of 13. If you are under the age of 13, please do not submit any personal information through the Site. If you have reason to believe that a child under the age of 13 has provided personal information to Drawbridge through this Site, please contact us. Drawbridge takes steps to protect the security of personal information, such as storing this information on a restricted access basis. However, please keep in mind that no Internet or e-mail transmission or form of electronic storage is ever fully secure or error-free. Therefore, we cannot guarantee the security of any information. Please keep this in mind when disclosing any data to Drawbridge.